LPCiminelli’s three-phase plan to redevelop 27-acre former Central Park Plaza site features 800 apartments, walk-ups and townhomes. Construction firm LPCiminelli now plans to redevelop the 27-acre former Central Park Plaza over three phases of work into about 800 apartments, walk-ups and townhomes in a neighborhood transformation that officials hope will also encourage further investment by the city and private sector in local infrastructure and accompanying retail businesses. The vast project, dubbed Highland Park, represents an effort to turn the near East Side land into more of a “walkable” and “transit-oriented” community, taking advantage of its proximity to Main Street bus routes and the nearby Metro Rail station at Amherst Street. 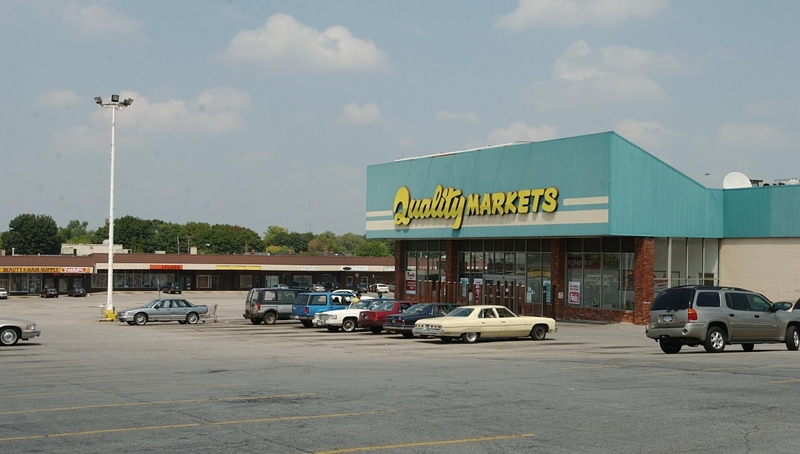 It also would restore the area near Fillmore Avenue to the kind of neighborhood that existed a century ago, before a quarry and then the retail plaza occupied the sprawling site and broke up the streetscape and residential living. Highland Park was the neighborhood’s original name, research showed. “We are very excited about this project and the ability to kick it off,” said attorney Marc A. Romanowski of Hopkins, Sorgi & Romanowski PLLC, who represented LPCiminelli on Tuesday before the Buffalo Planning Board, which began the process of reviewing an environmental-impact statement. Officials hope to see new business, housing and road enhancements even outside their project zone, which is bordered by Central Park Avenue on the south, Bennett Village on the north, Holden Avenue on the west and Manhattan Avenue on the east. As part of the project, Romanowski said LPCiminelli also will extend Chalmers Avenue, Wade Avenue and Hill Street, restoring the grid pattern and street connections that were cut off long ago. And company vice president John Ciminelli said the firm has had discussions with the city about peripheral development by others, citing a need for more retail in nearby business districts on Fillmore, Main, Kenmore Avenue and Grider Street, as well as a proposed “gateway” on city-owned land to the west, and the opportunity for another 200 “in-fill” homes on lots within the surrounding neighborhood. The firm also is working with the Niagara Frontier Transportation Authority to restore Metro Bus service, and plans to incorporate modern bus shelters, with television monitors, into the project. “It’s not a formal public-private partnership, but we wouldn’t get into this if there weren’t infrastructure investments,” Ciminelli said. The Buffalo-based firm initially unveiled plans for its $70 million redevelopment last August, but has now upsized the number of units envisioned in the project. The revised concept tentatively calls for 316 units in taller multifamily buildings, 272 walk-up units, 135 two-bedroom townhomes and 44 three-bedroom townhomes. The units will likely be about 80 percent market-rate, with the rest subsidized. There also are plans for 10,000 square feet of first-floor retail space, such as for a day care center, grocery store or drugstore. Construction would be done in at least three stages, starting along Chalmers Avenue with the buildout of the first large-scale apartment building. That phase would involve 270,000 square feet of space, with 229 units. The next 306 units, with 342,000 square feet, would be built to the east of Hill Street, followed by the third phase on the north end of the project, with another 128 units and 140,000 square feet. Romanowski said the developer hopes to bring the first site plan for approval over the summer, and begin infrastructure improvements in the fall, with construction to start early next year. Separately, the board heard updates to the proposed plans by a New York City investment group for a 300-room hotel, two restaurants, medical facilities and six apartments in the former AM&A’s department store building at 377 Main. Engineer John A. Schenne said the owners expect three to four buses to arrive each day from New York, with Asian tourists bound for Niagara Falls, and will lease a facility nearby to park the buses after they unload passengers. That addresses concerns raised at the last Planning Board meeting. Schenne and the investors are still engaged in discussions with city public works officials about the traffic on the street, and are still awaiting completion of an environmental review. Meanwhile, though, the owners expect to start three months of asbestos remediation work on the building either this week or next week. • Approved construction of Campus Square, a six-story mixed-use building at 903 Ellicott St., with first-floor retail space and 150 apartment units, plus a four-story parking ramp with 200 spaces. The 265,000-square-foot project by McGuire Development Co. and Mark Trammell’s MHT Holdings was originally eight stories with 191 units and underground parking, but discovery of a high water table made underground parking costly. • Approved conversion by Saving Grace Ministry and CSS Construction of a former YMCA at 347 E. Ferry St. into 16 units of housing, with first-floor commercial space and an elevator tower. • Approved Paul J. Kolkmeyer’s conversion of the bottom two floors of the seven-story Roblin Building at 241 Main into a 49-space parking ramp, with a remote-operated vehicle elevator, for condo residents of the 14-story Marine Trust Building next door, at 237 Main. Cars will access the garage through two overhead doors on Washington Street. The upper floors of the seven-story building remain commercial.